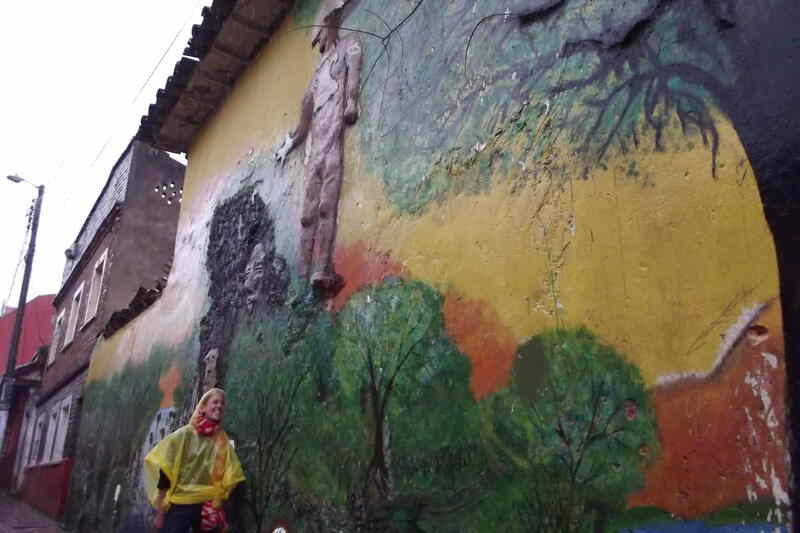 Laetitia admires street art in El Callejon del Embudo. taken her to many far-flung places, including Pyongyang (North Korea)and Iraq, as you can see on her excellent blog. Previously, this intrepid Frenchwoman had worked in the fashion industry in China, where she aspired to help the poor by building solidarity businesses. But “one day everything changed” for her after a disastrous earthquake struck. Laetitia decided to become an aid worker herself. “I loved my old job, but sometimes you just know something’s the right thing to do,” she said. To me, the most intriguing spot Laetitia has visited was Pyongyang, capital of North Korea. 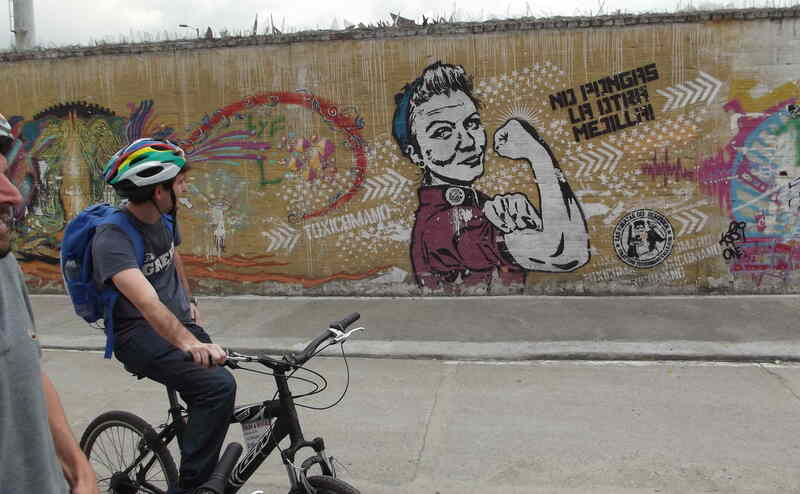 She actually rode a bike around there, although she didn’t mention having seen any street art, particularly the amateur, anti-government sort which abounds in Bogotá. Still, it was interesting. Living in Pyongyang “was like going back 50 years, to the old Soviet Union,” Laetitia said. But, she said, despite the troubles of the globe’s last Stalinist state, all is not sadness in the Hermit Kingdom. “You can find happiness anywhere,” she observed. 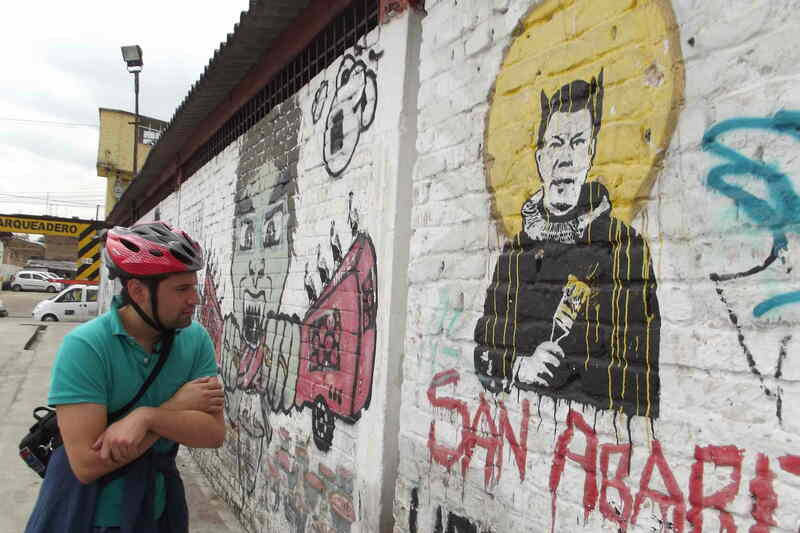 In contrast, Laetitia, who came here on vacation, found Bogotá’s street art “very intense” and political, even compared to places like Argentina and Berlin. She was particularly impressed by works which incorporate objects from the local environment, such as trees. 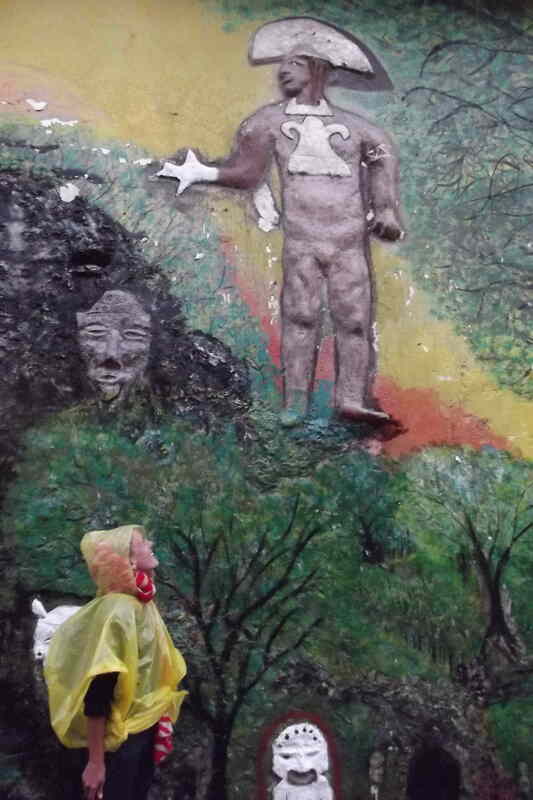 “That was very, very good,” she says of a three-dimensional work in the Callejon del Embudo off of Chorro del Quevedo Plaza in La Candelaria. Soon, she’s off to Africa, where she’s certain to find more great art. 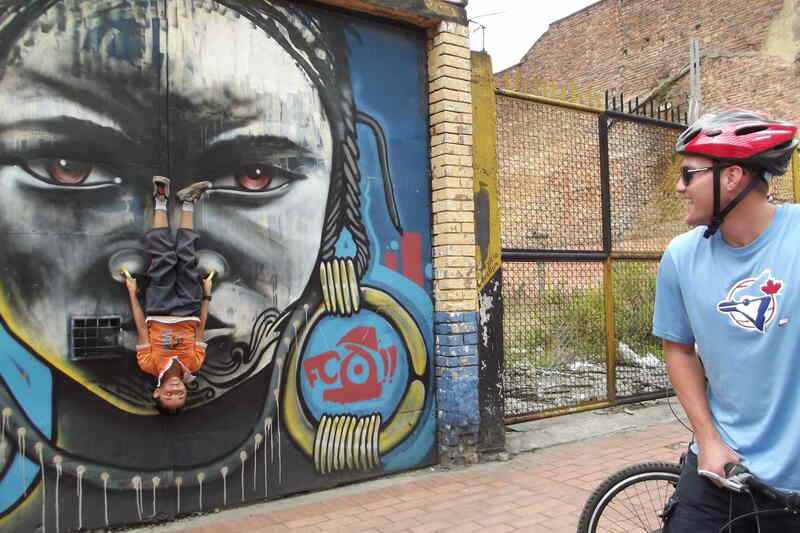 A neighborhood kid hangs out on a street art face behind Bogotá’s Central Cemetery. A political graffiti portrays Colombian Pres. Santos as a false saint with a self-painted halo. 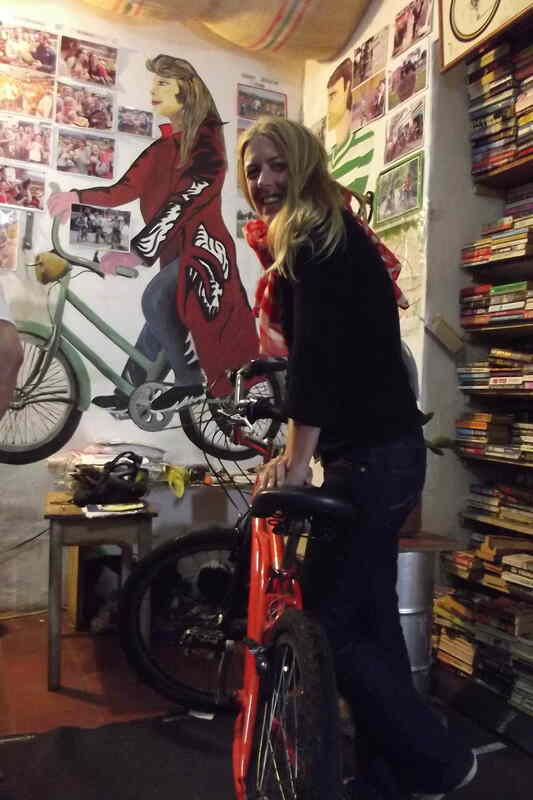 This entry was posted in Uncategorized and tagged bicycles, bike tours, graffiti, street art. Bookmark the permalink.